Welcome to Stampin’ Amity. 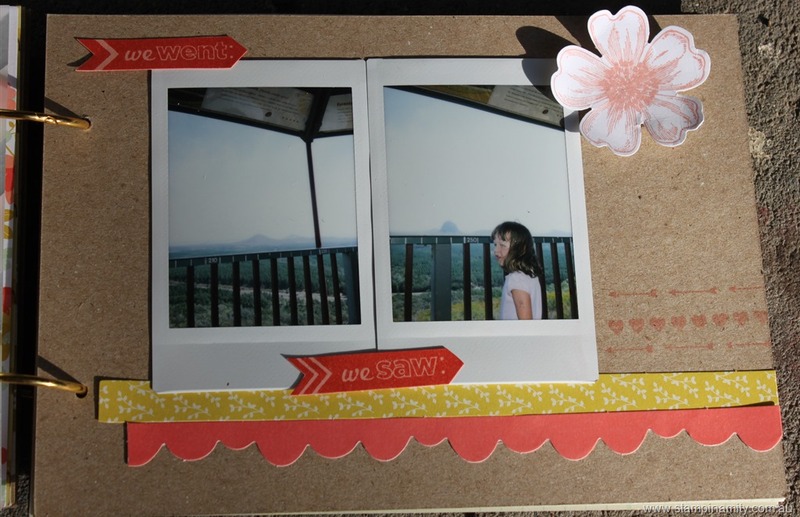 You will have arrived from Sharlene’s blog. 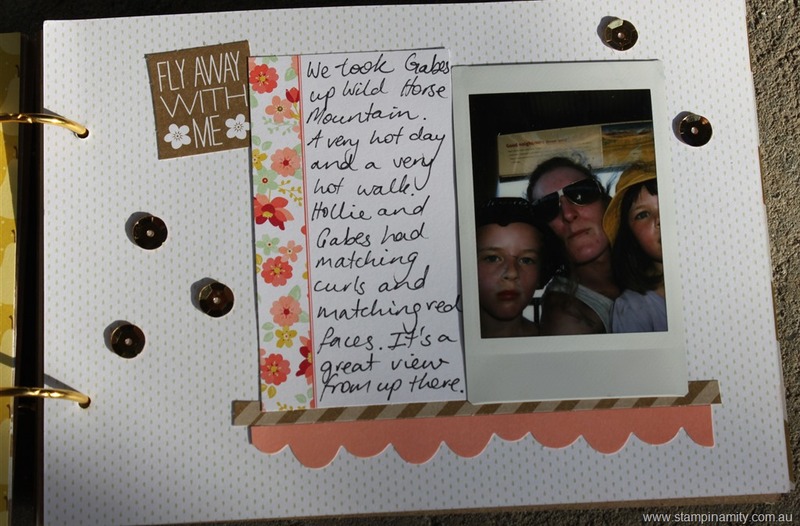 Mini Memories Simply created Kit –Mini album by Stampin’ Up! I really struggle with off the page items. I find they are very difficult to complete and to start even. 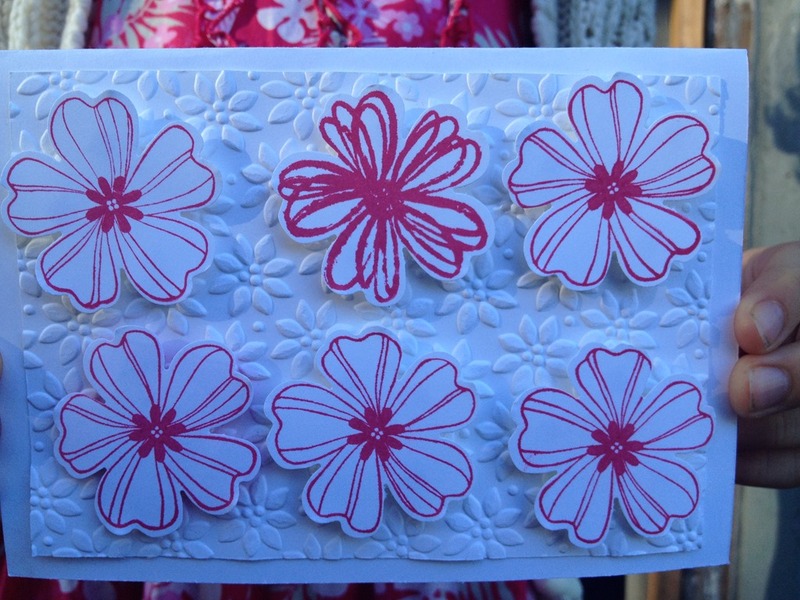 Maybe it is the small scale of them in comparison to a 12×12 scrapbooking page that I find so difficult to manipulate. 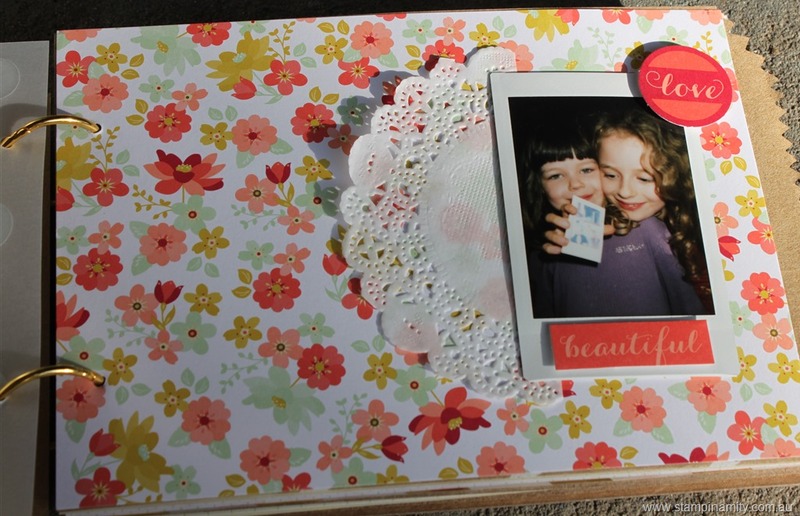 I bought the Mini Memories Simply created Kit because I loved the colours and I thought it would be wonderful to do with my kids classes as the kit comes with everything you need to make the project. Don’t you just love this vellum? 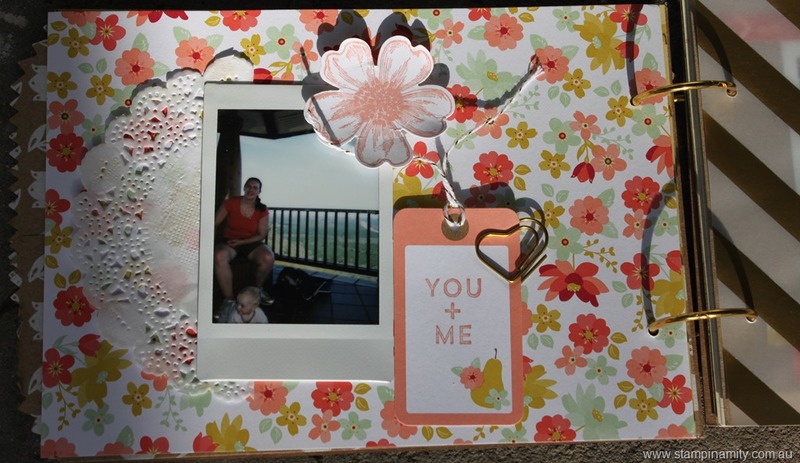 I love that you can see the other photo peeking through as well as the embellishments. Here is the page underneath the vellum. This album is for my kids. Their cousin came to visit from Melbourne and brought her polaroid camera which she let the kids use and then keep the photos. I didn’t know what to do with these photos are there are quite a few. I didn’t know how to divide them up and put them in their scrapbooks so I decided the mini album they all could look at and share was the best idea. 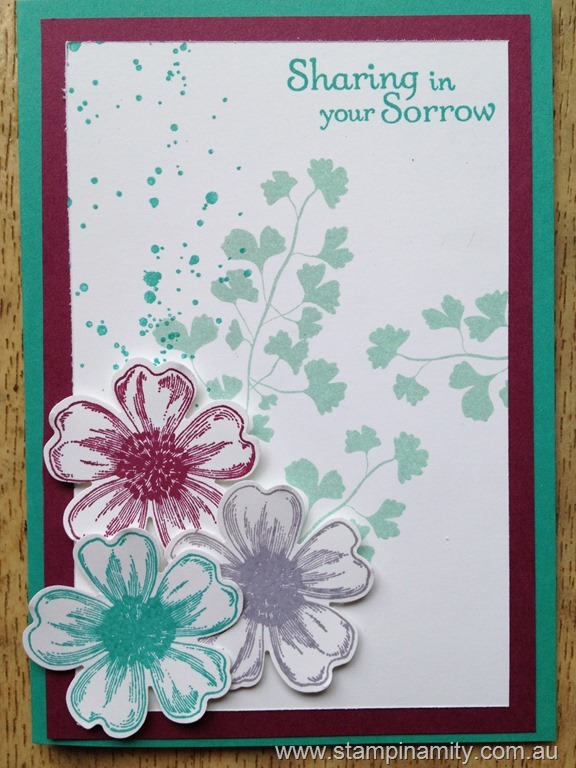 I added a few embellishments to the kit such as the Flower Shop flowers (see my Flower Shop blog post and how versatile this stamp set is.) and the Around the World stamps seen here in these arrows. I actually found this kit really easy to use. 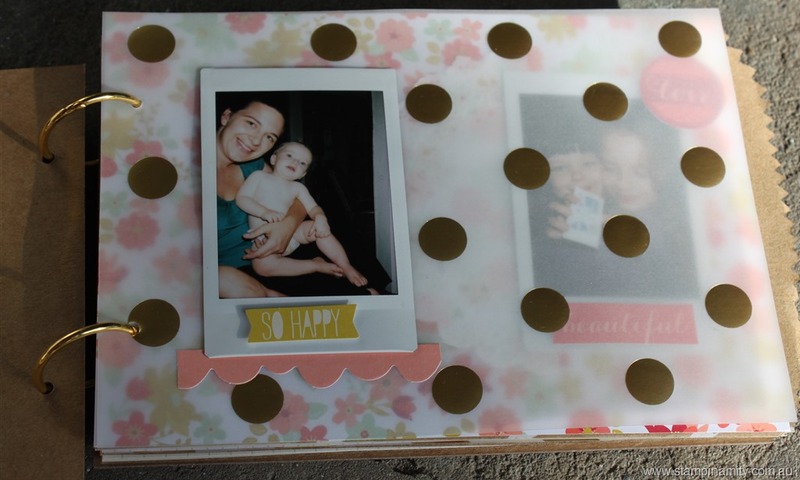 It comes with die cuts, heart shaped paper clips, sequins, gold twine, buttons, envelopes to pop memorabilia or extra photos into and vellum for a really beautiful look. 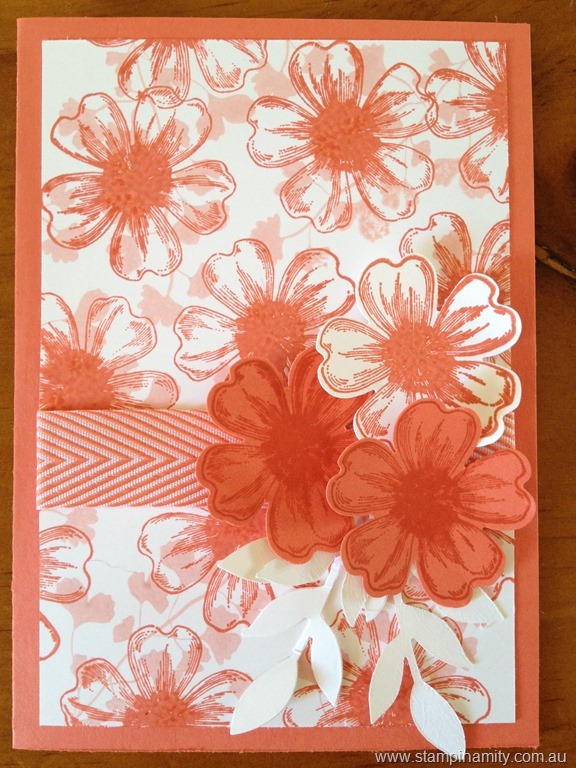 I did add some extra vellum to the album and some pieces of Calypso Coral cardstock but that is all. Everything else comes with the kit. Of course I jazzed it up with some stamping but you could use whatever stamps you have at home to achieve a similar look. 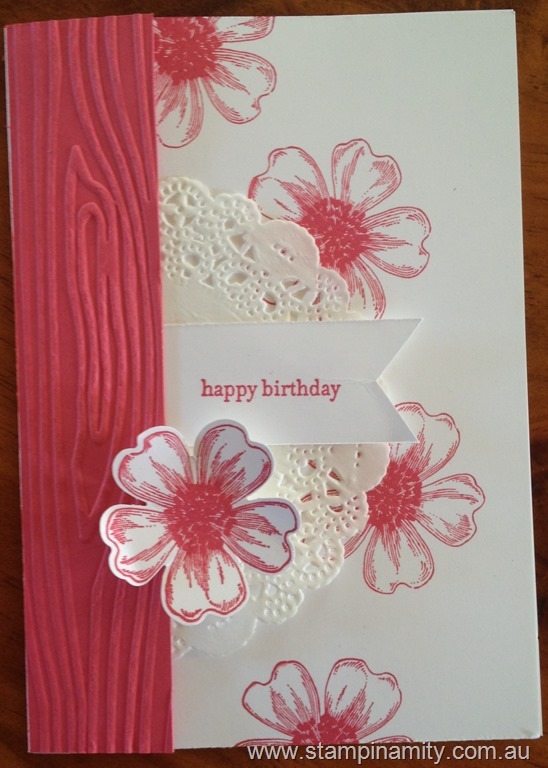 on-line group just for Australian and New Zealand Stampin’ Up! information on how to join our wonderful group. 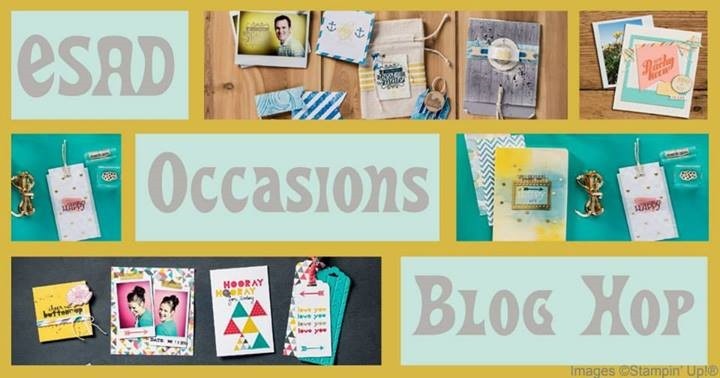 The next stop in the blog hop is Clare’s blog. If you get lost make sure you come back and follow the links below.